Red velvet cake seems to me a fascinating counter-cultural phenomenon. How is it, in a society that doesn’t care what the word “natural” means, as long as it is slapped onto every processed food purchasable and who wants certain foods labeled until the package no longer shows and wants to blame every health problem in the US on the evil of “processed foods,” is the same society that can’t help but be enamored with a cake that’s sole glamor comes from a bottle or two of food coloring? I’ll never understand. Red velvet cake, it turns out, was originally not even that red. Aging back to the 1800’s when the term “velvet” was meant to denote a cake with a particularly fine crumb, the red velvet cake was named such due to the use of “red” sugar (brown sugar). Also, the reaction between the acid and cocoa powder brought out the reddish color of the anthocyanin (an antioxidant) found in cocoa. We now rely mainly on Dutch processed cocoa powder in this application, which has more color than that of natural cocoa powder. During the great depression, a color company began selling cake mixes with two free bottles of food coloring. This successful marketing tactic has changed the cultural image of Red Velvet Cake. Because I dislike the taste of the food coloring in Red Velvet Cake, I decided to try to replicate some degree of the color by using a red alkalized (Dutched) cocoa powder. 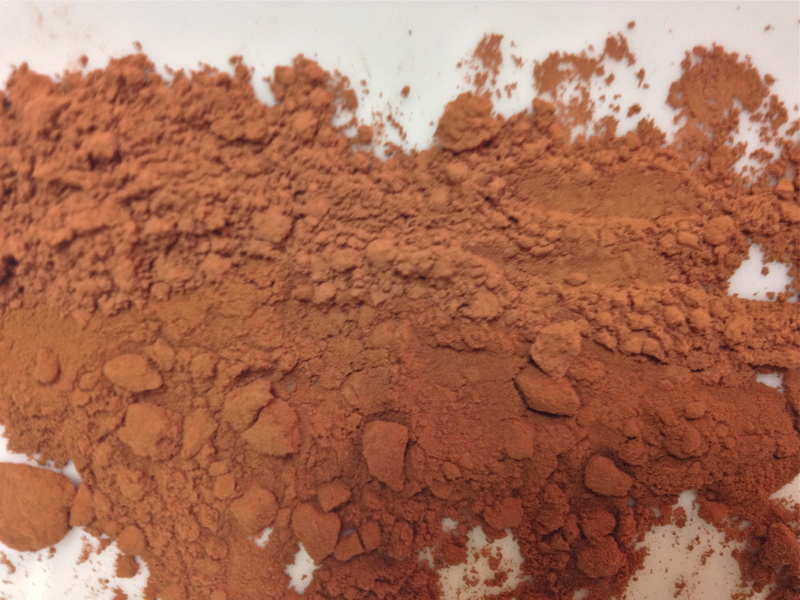 As you can see from the picture, the color was very similar when compared to natural cocoa powder (natural is on the top, alkalized on the bottom). I wasn’t about to add a bottle of food coloring, though. 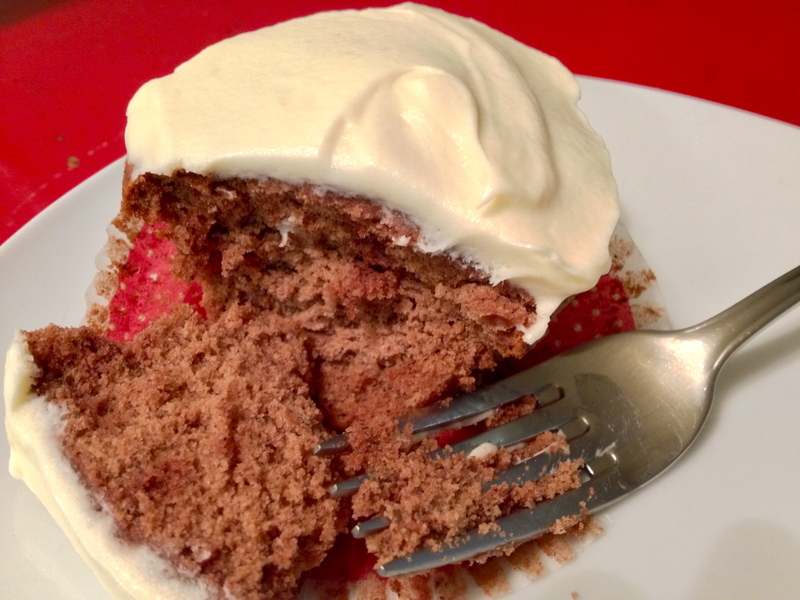 So here is a great recipe for a velvet cake with a slightly reddish hue: Red Velvet Cake the way it was intended. Preheat oven to 350F. Line 18 muffin cups with paper baking cups. Combine flour and salt in a medium bowl. Combine buttermilk and vanilla in a separate small bowl. Beat sugar and butter in a large bowl with an electric mixer until the mixture is light and very fluffy (you cant overmix at this step!). Add eggs one at a time, beating after each addition. Add cocoa and mix well. 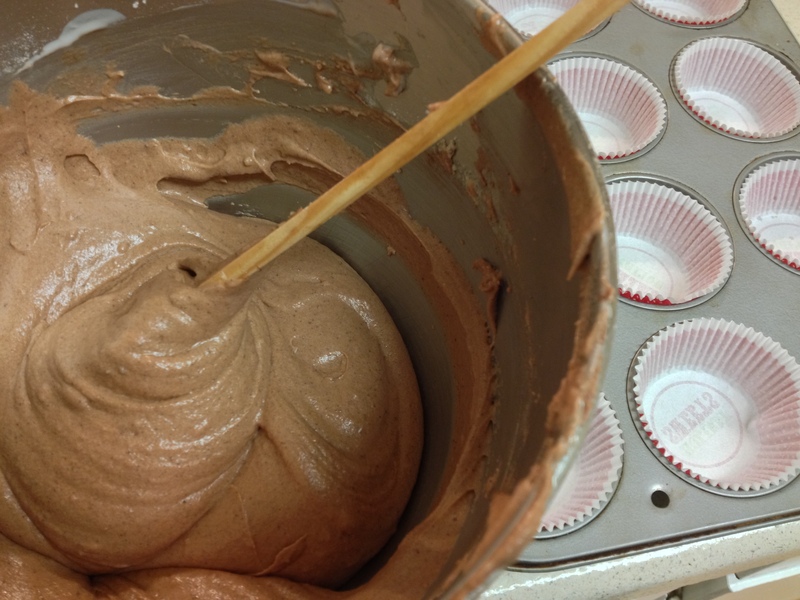 Add flour mixture alternately with buttermilk mixture; beat just until blended. 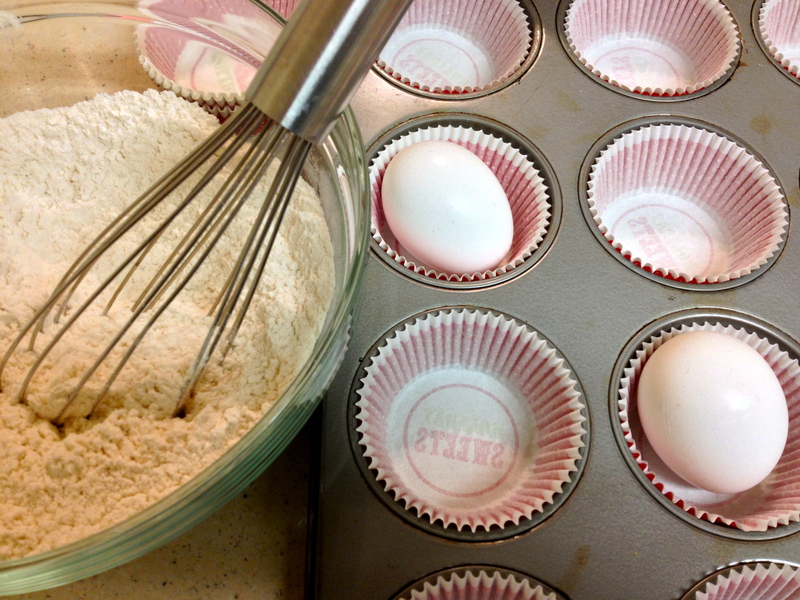 Combine vinegar and baking soda in a small bowl; gently fold into batter with spatula. 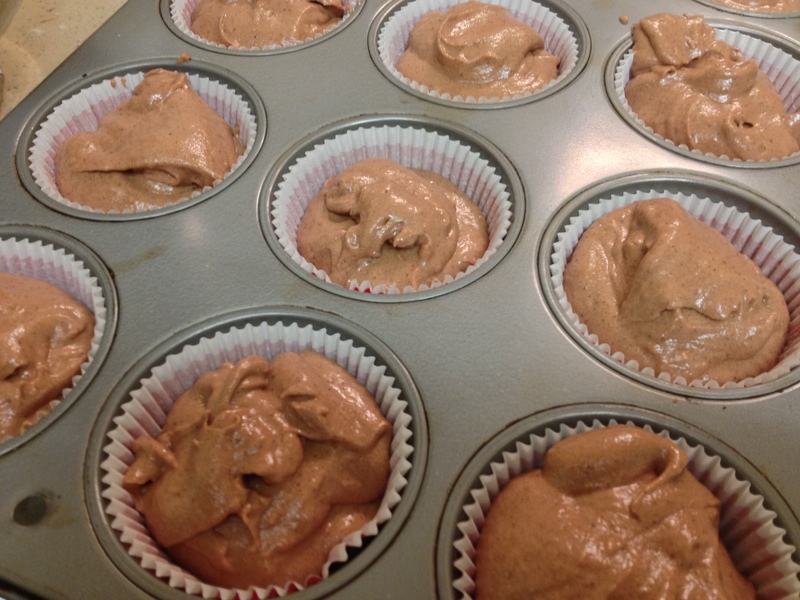 Spoon batter into prepared muffin tins, filling about 2/3 full. 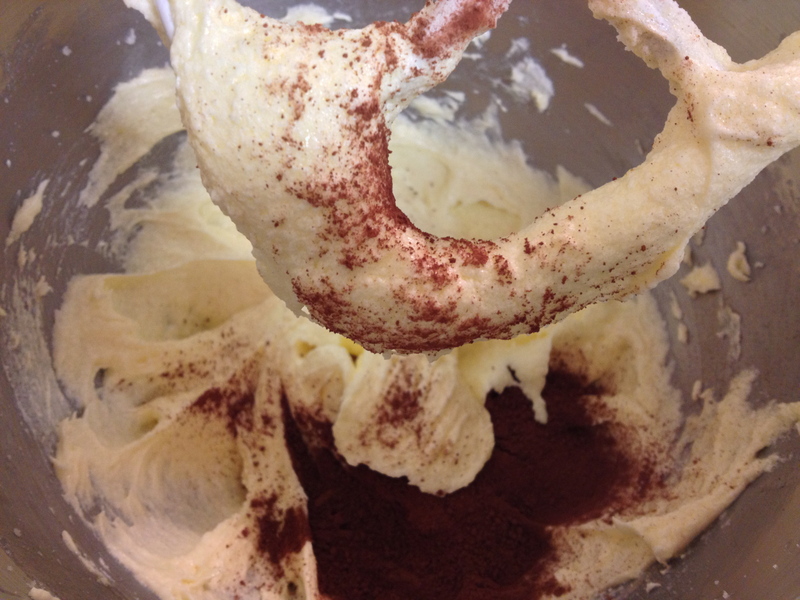 Combine cream cheese and butter in the bowl of an electric mixer. Beat until smooth.